Camille De La Cruz, Eamonn Hubert, and Dylan Trueblood Join SCHOOL OF ROCK; Aubin Bradley Joins LES MISERABLES; and more! 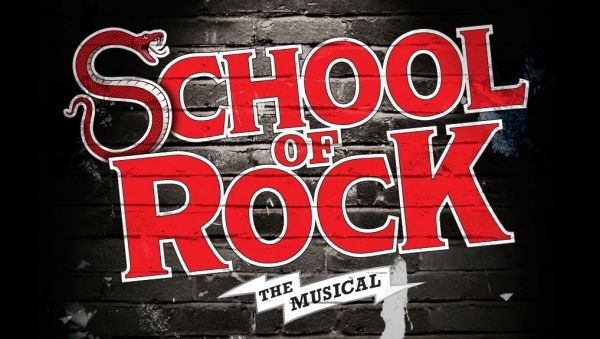 Congratulations to Camille De La Cruz, Eamonn Hubert, and Dylan Trueblood, who have all joined the cast of School of Rock! Camille will be playing Tomika, Dylan will be playing Mason (alongside his brother Cameron Trueblood as Freddy! ), and Eamonn will be a swing. Congratulations as well to Aubin Bradley, who is set to join the cast of Les Miserables! She follows in the footsteps of her sisters Catherine Bradley (A Christmas Story) and Alexandra Bradley (The Sound of Music). Ella Grace Helton (Waitress Orlando) has booked two national commercials! Joshua Turchin (A Christmas Story) will sing a tune by P!nk at Boys Like Pink at The Green Room 42 on February 16th! The Lion King, Miss Saigon, and Dear Evan Hansen will play Milwaukee’s Marcus Center in the 2019-2020 touring season! And here are pictures and videos from the kids of School of Rock, Miss Saigon, The King and I, Anastasia, and Les Miserables! Previous Article Happy Belated Birthday to Vivi Howard, FALSETTOS Photo Coverage, Kravis Center 2019-2020 Season Announced, and more! Next Article Richmond Lulus Begin WAITRESS Performances, Broadway in Austin 2019-2020 Season Announced, and more!